The Palm Beach County Sheriff’s Office needs the public’s assistance identifying a suspect wanted for Armed Robbery to a business. 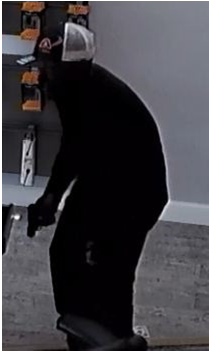 An unknown armed male entered Boost Mobile, approached an employee, demanded cash, and an iPhone then fled on foot in an unknown direction. This incident occurred on September 6, 2018; at 4:45 pm. Boost Mobile is located in the 800 block of Federal Highway, Lake Park. The suspect appeared to be 5’04” – 5’06” with a thin build. ← Boynton Beach Police are investigating a shooting that occurred in the area of SW 4th Street and SW 4th Avenue.